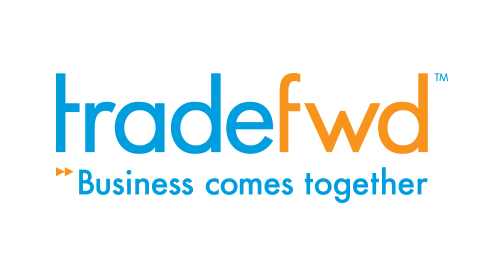 tradeFWD is a leading Digital Marketing, Mobile Applications Development and ChinaPay Mass Merchant headquartered in Hong Kong with offices around the globe. The tradesqr app is an innovative business to business social meida network enabling people and companies around the world to promote their Profile as well as its products/services; with posts, comments and news, plus photos and videos. Social media interactions between Buyers & Suppliers are business focused without causing unnecessary interference and disruption in their personal sphere. Members would also be able to scan for qualified suppliers through our proprietary "Find My Supplier" database which is comprising over 200,000 publicly found data. Free membership to all industry professionals and corporate membership is needed to utilize our trade related value added services like Bazaar, buying leads posting and payment solution, including escrow services. Digital Marketing Suite is available to provide turnkey solution for manufacturers and exporters to explore new customers through Social Media & B2B online platforms. Visit www.tradefwd.com or download the mobile application tradesqr in App Store or Googly Play. tradeFWD is partnering with China UnionPay (CUP) as Mass Merchant in cross border payment for eCommerce to China. Readiy adoptable tradeFWD Chinafwd e-trade services package would enable ROW (rest of the world) brands and retailers to have an online presence in China integrated with credit card or UPOP (Union Pay Online Payment) payment preferred by Chinese Shoppers.